About three weeks ago my sister, brother-in-law and niece welcomed little Bennett into the family. In honour of the event and my sister’s love of cupcakes I made a little welcome cupcake dessert to celebrate his arrival. 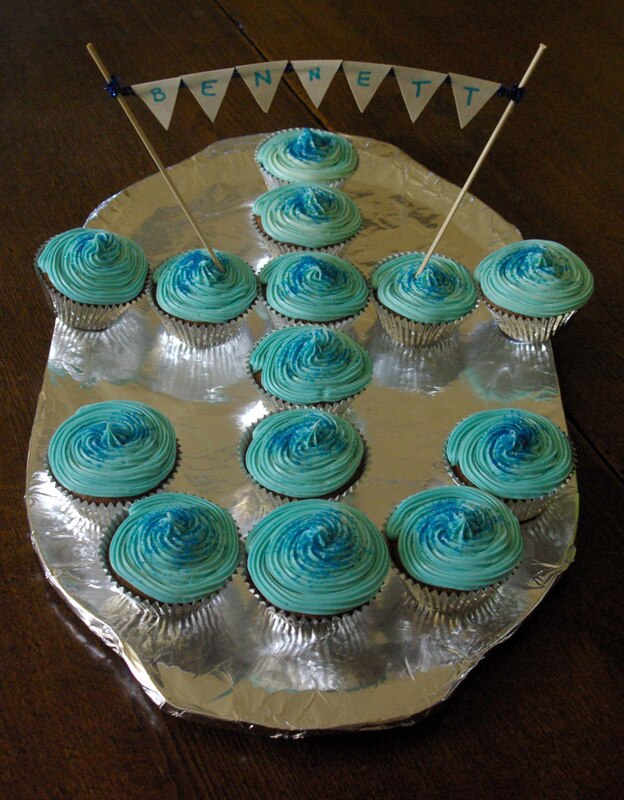 His room is decorated in a nautical theme so I ran with that for the cupcakes as well. Welcome to the family little guy.